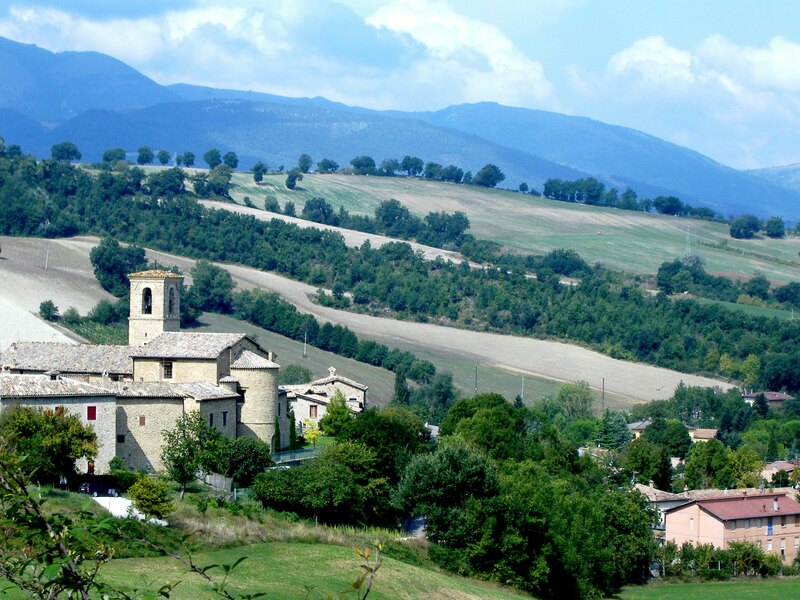 On one of our trips we rented a house for a month in Le Marche area of Italy in a village called Pievebovigliana. 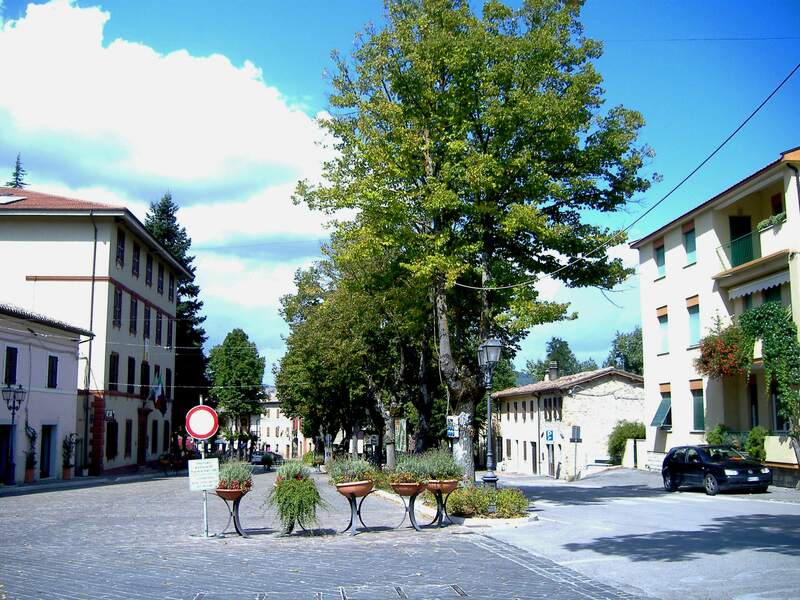 Pievebovigliana is located within the Monti Sibillini National Park. It is a such a beautiful and peaceful area. 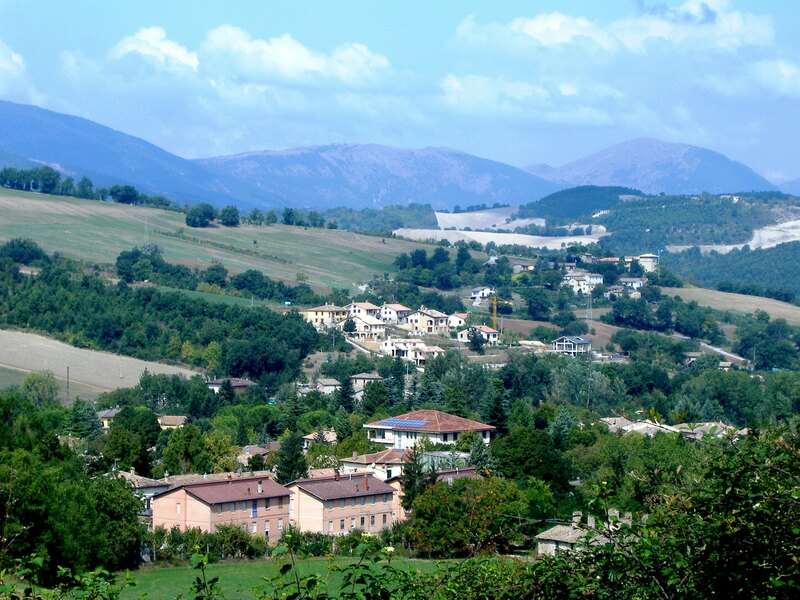 We have friends, we met at the language school in Castelraimondo who live in this area and know the owners of the house, so they helped us to rent it from the owners. 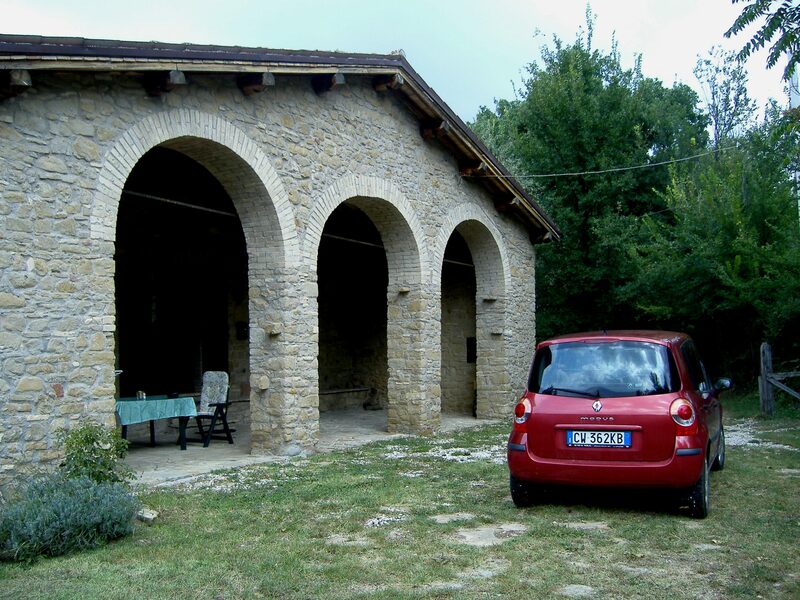 The house was a few kilometers from the local village which necessitated the rental of a car. It worked well as having the facilities to prepare many of our meals at home more than paid for the cost of the car rental. This house was fully equipped and stocked with everything that we could possibly need. The agreement was, if we used any of the consumables we replaced them. 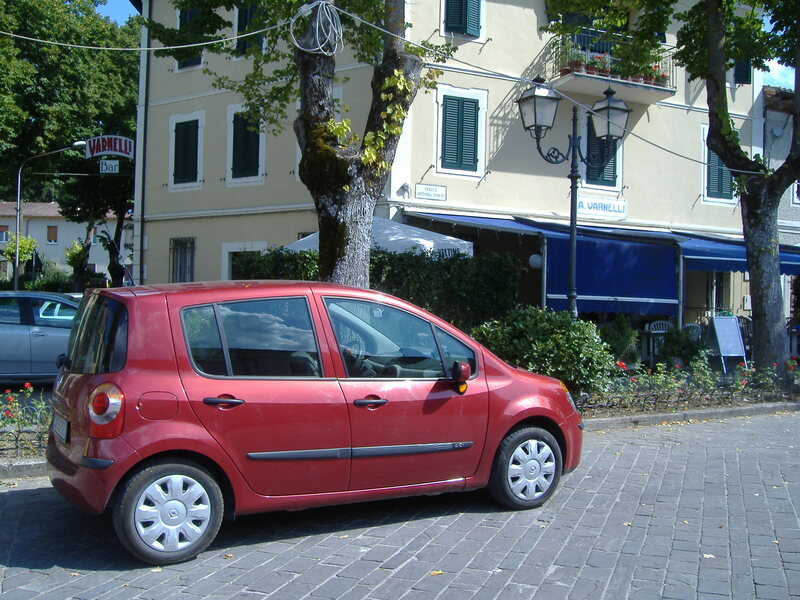 It was very easy to drive into the village to the local bar, Varnelli bar, for a café and dolce for breakfast or morning snack or a gelato or a vino any other time. Also, staying in such a small village we found eating out to be very reasonable. With the car, we could go wherever we wanted to. We were certainly not limited with our destinations. We quickly became part of the local scene, attending the weekly football matches both at home games and away games. 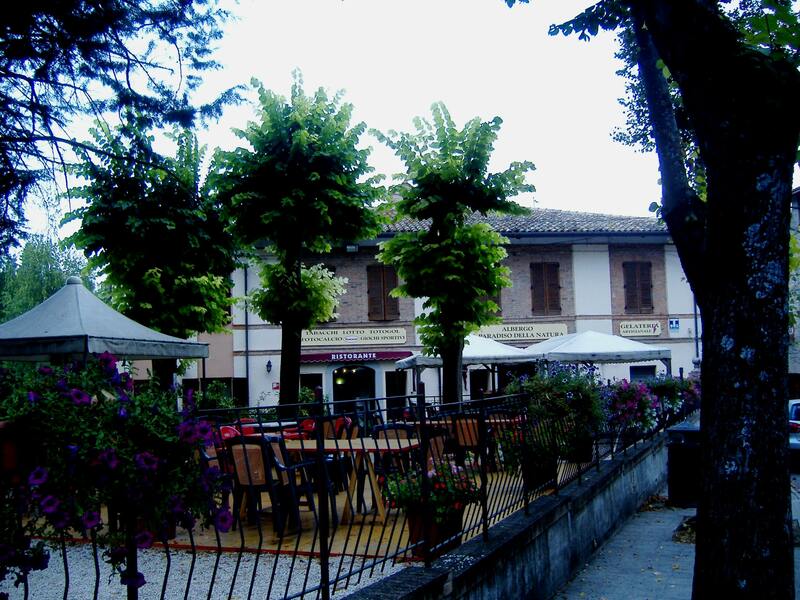 After the games we were always invited to the local bar or café for a gelato or coffee or even a wine. Being Aussies, we always had a vino. 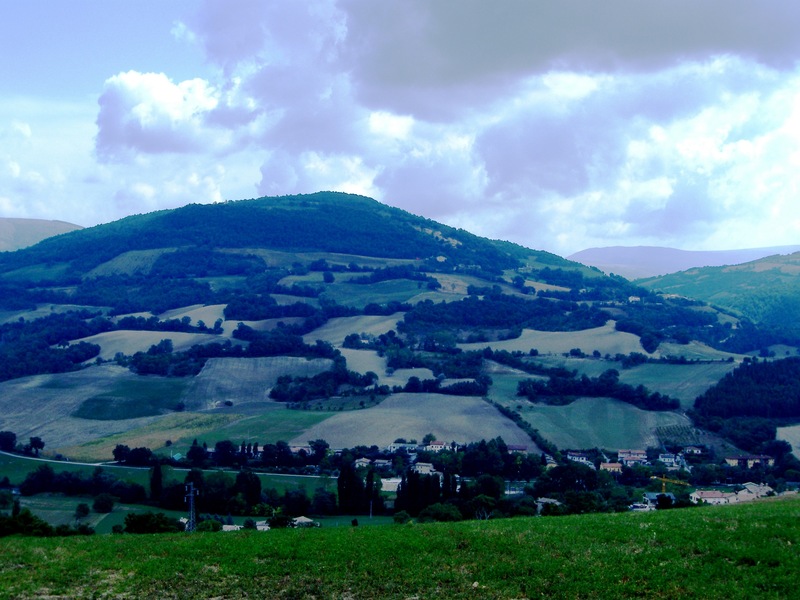 It did not take long for the locals to accept us and within days we would come home to gifts left on our outdoor table, almost daily, including home made wine, home grown vegetables and fruits, fresh eggs and the local truffles. We were invited to many of the festivities, of which there were lots, in the local and surrounding areas. One day, by chance we went truffle hunting. Tell you about this in another post. One evening, we prepared and hosted a successful Italian dinner party for 12 – more another time on this one. This was living La Dolce Vita. 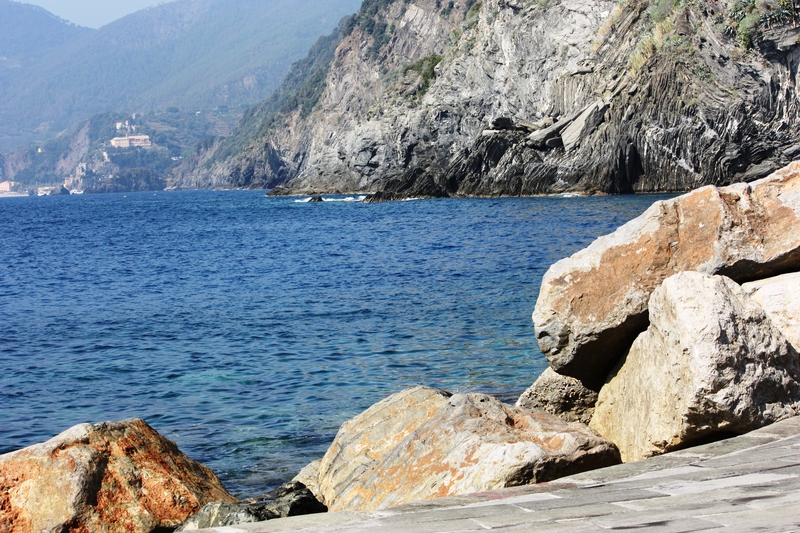 Riomaggiore is the first of the Cinque Terre one meets when travelling north from La Spezia. It does not have its own beach but it still is on the water. The sea is not visible from the village’s main street. 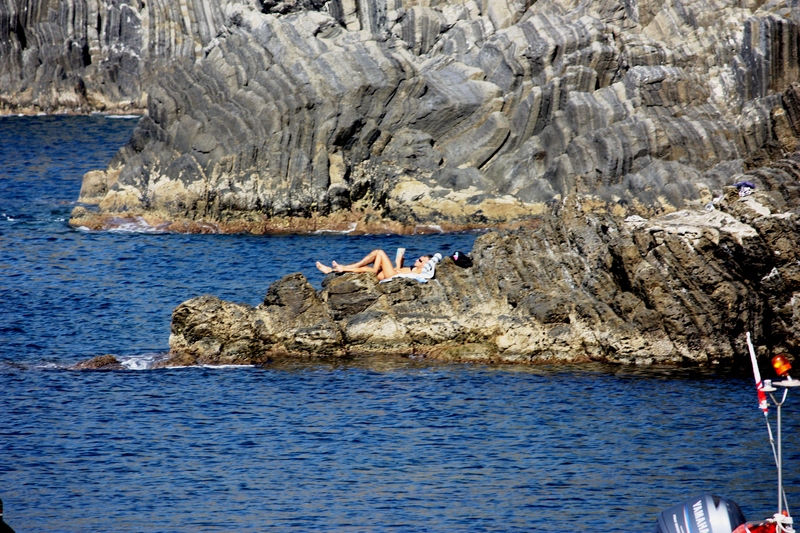 If you would rather not sit or lie on the rocks to sun tan or swim in the sea at this village, I suggest you take the train to the sandy beaches of Monterosso or go to Portovenere. 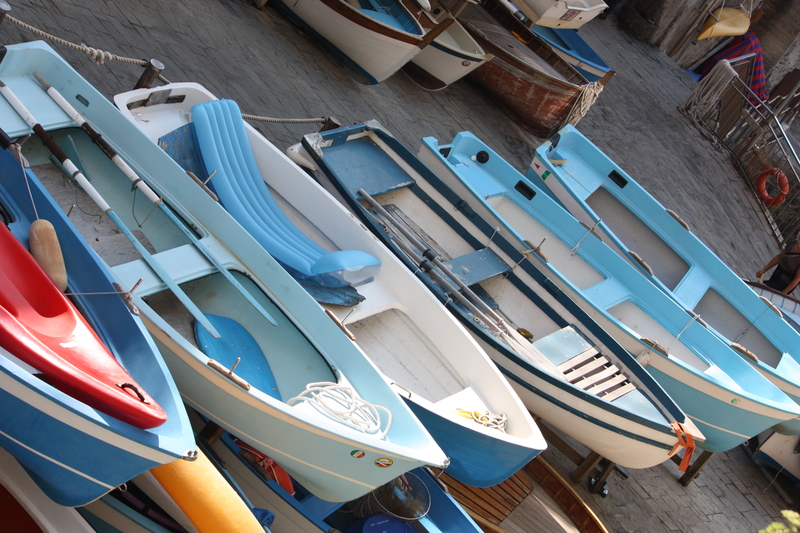 Riomaggiore is known for its locally produced wine. 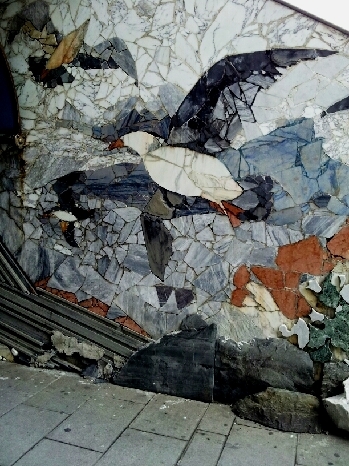 There are many seafood restaurants and affordable bars and numerous shops. 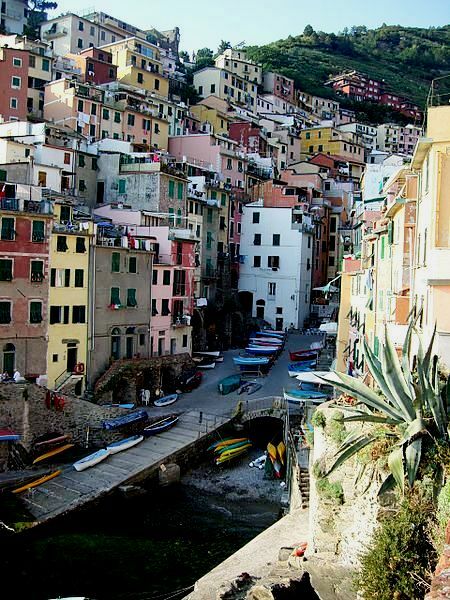 Manarola is the second smallest of the famous Cinque Terre towns frequented by tourists and is possibly the oldest village. 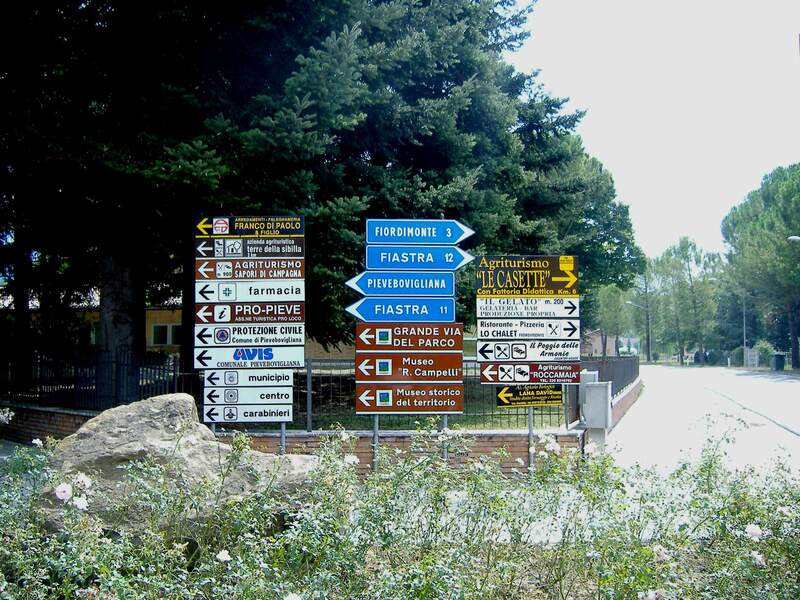 The main industries are fishing and wine making. 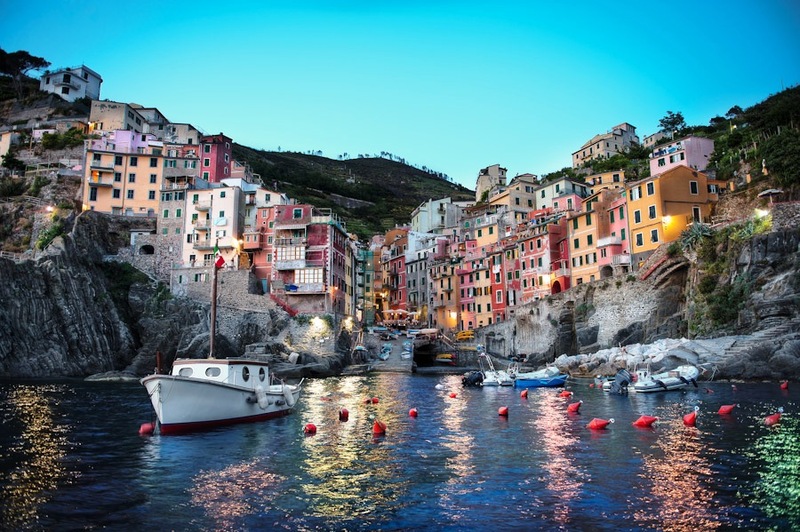 In recent years, Manarola and its neighboring towns have become popular tourist destinations, particularly in the summer months. 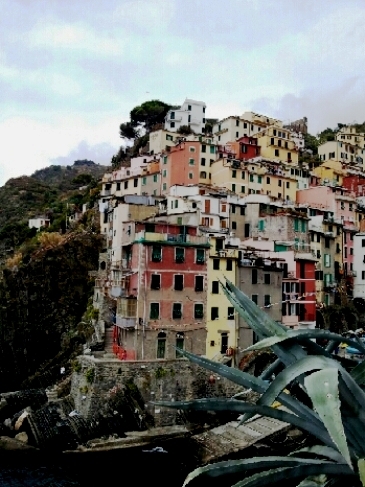 Manarola, is another gorgeous village with mostly all of the houses bright and colourful. I found the best way to see the villages completely is by boat. 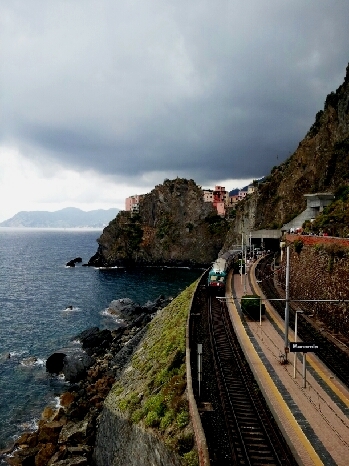 We went by boat up to Monterosso and then walked or caught the train back passing through all of the villages. 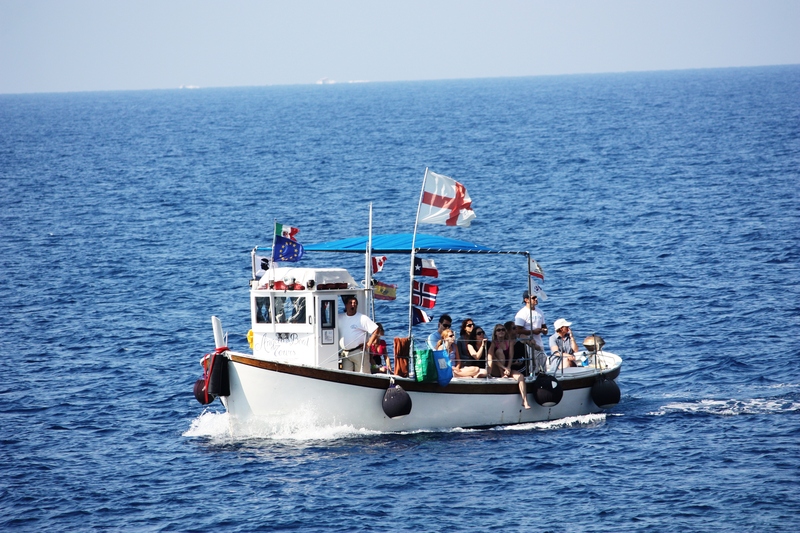 So, go by boat to see the villages from the water and then explore them individually by foot . 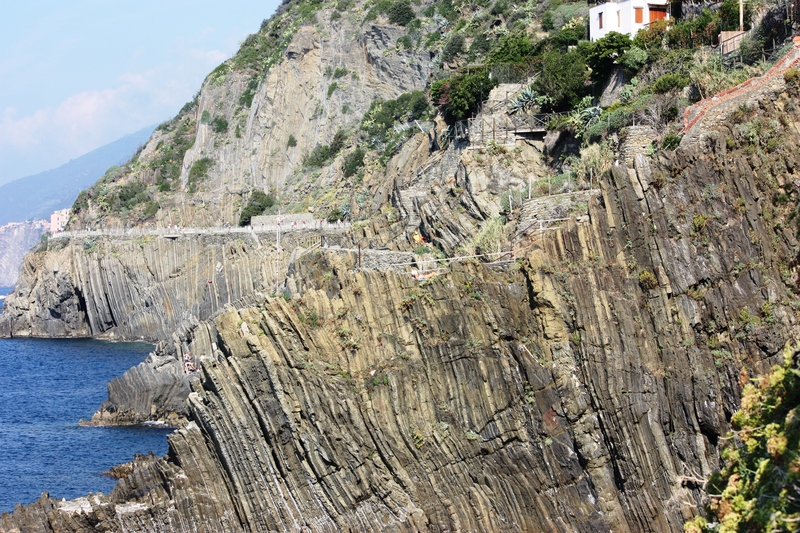 Corniglia is not directly adjacent to the sea like the other 4 villages of the Cinque Terre. 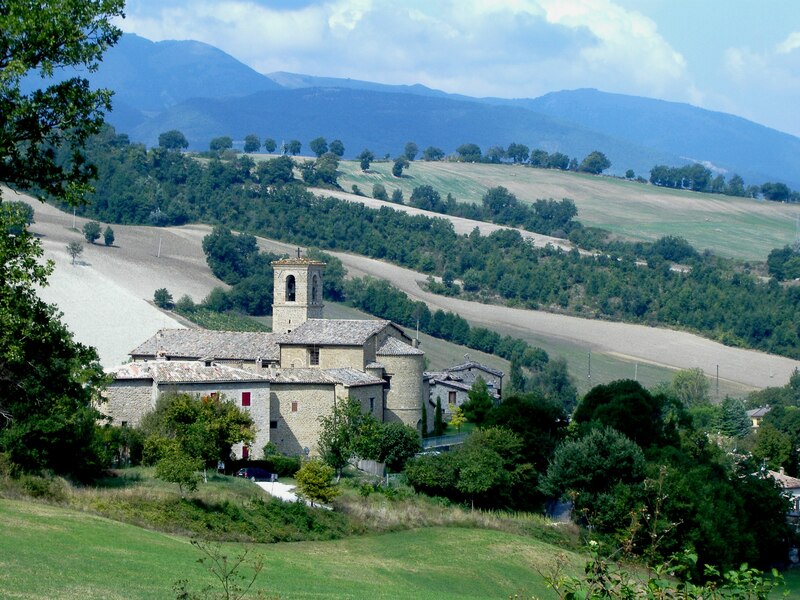 Instead, it is on the top of a promontory about 100 metres high, surrounded on three sides by vineyards and terraces and the fourth side descends steeply to the sea. 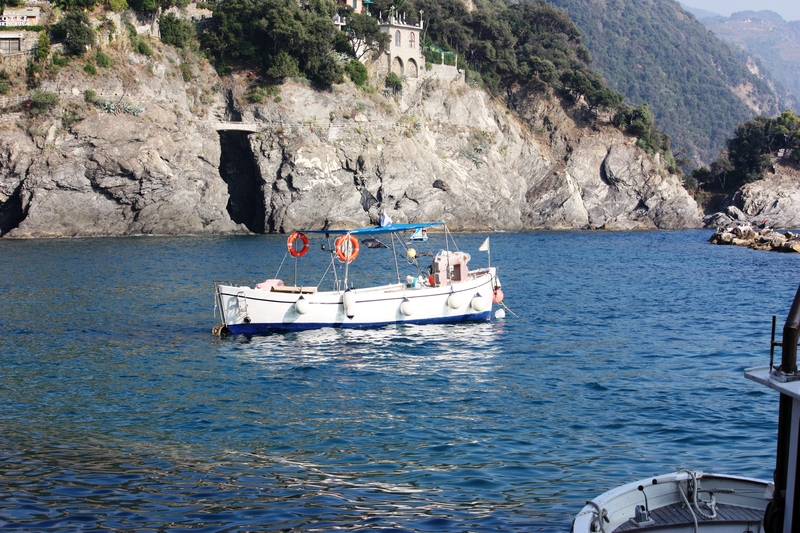 The first time I visited the Cinque Terre was by boat. 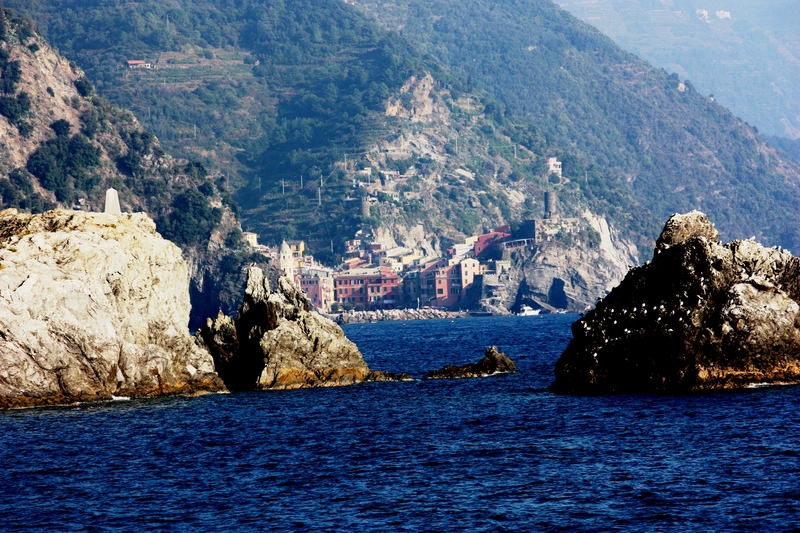 This way you see the villages and really, the best way to see Corniglia is from the water. 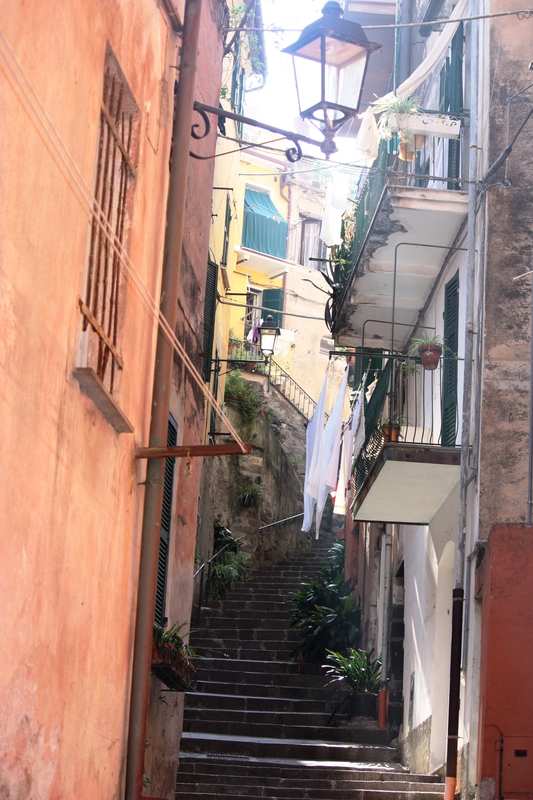 To reach Corniglia, there is a climb of steps composed of 33 flights with 382 steps or, otherwise follow a vehicular road that, from the station, leads to the village. Sometimes a small bus runs up and down here. The village stretches along the main road. 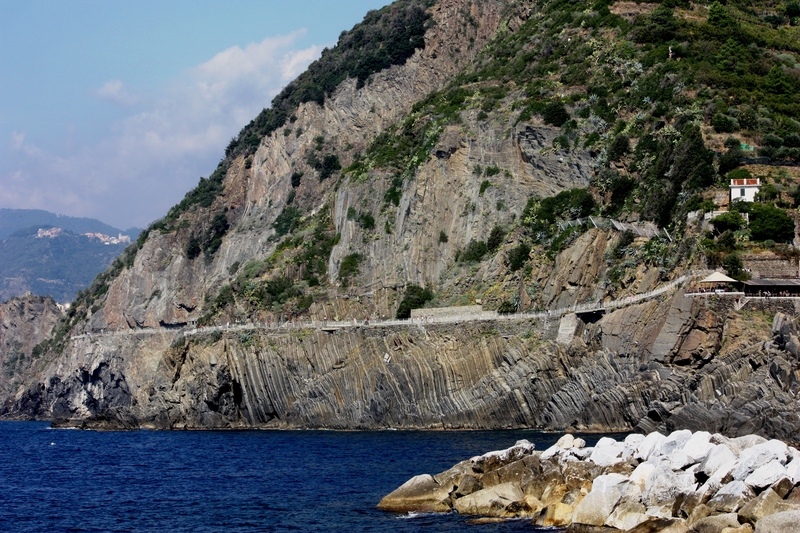 Corniglia is characterised by narrow roads and a terrace obtained in the rock from which all other four Cinque Terre’s villages, two on one side and two on the other, can be seen. 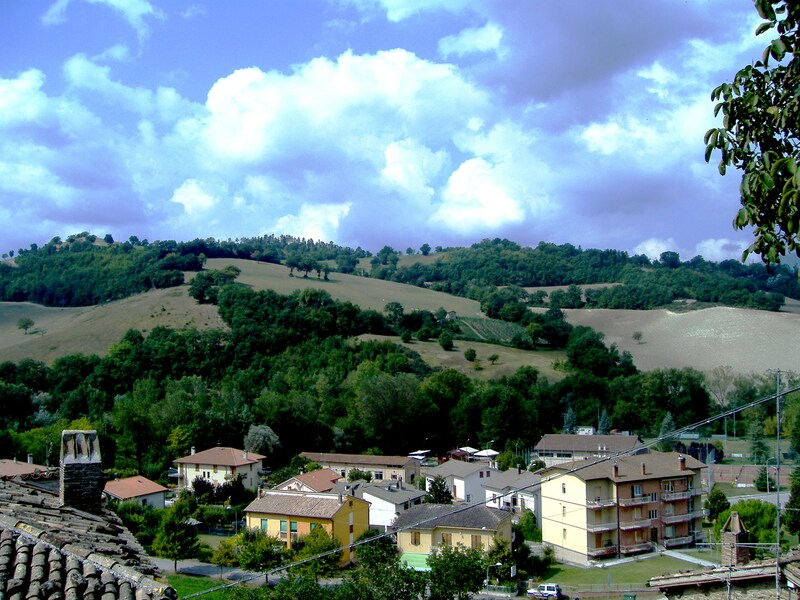 The town planning structure presents also original characteristics compared to those of the other villages: the houses are lower set, and only more recently higher, similar to those of the villages of the hinterland. 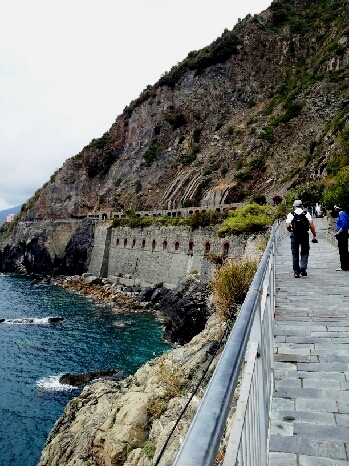 There are houses in the Cinque Terre that are so isolated that the only way to reach them is by climbing or descending hundreds of steps. 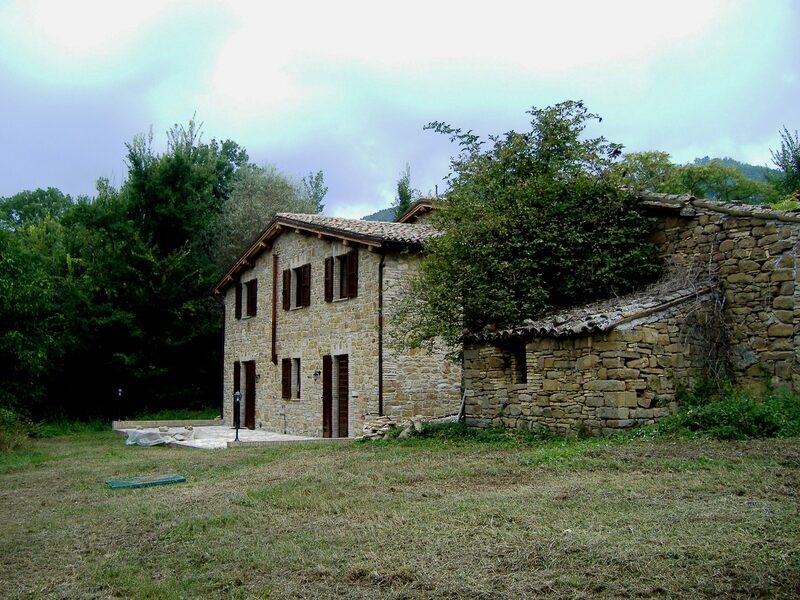 These houses are usually holiday cottages for those who are looking for complete privacy.